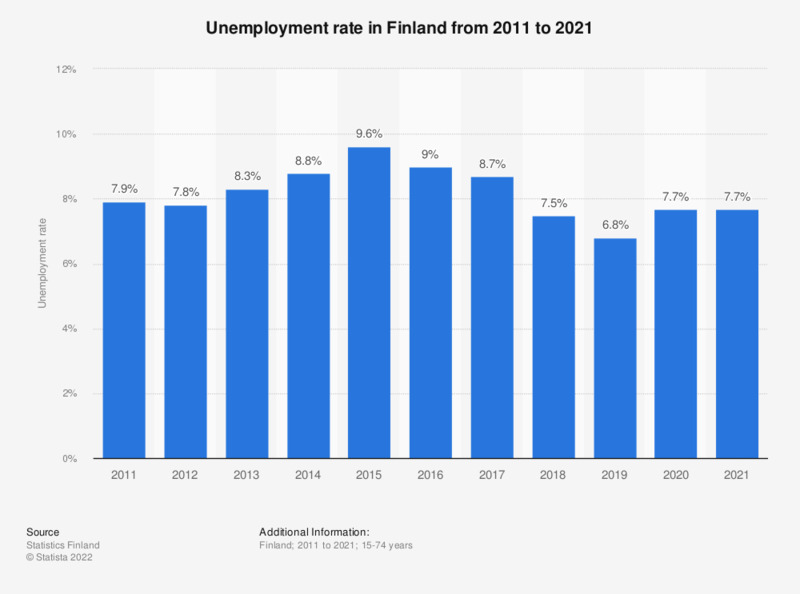 This statistic shows the annual average unemployment rate in Finland from 2007 to 2017. During the period under survey, the unemployment rate of the population fluctuated, reaching a low of 6.4 percent in 2008, and a high of 9.4 percent in 2015. In 2017, the unemployment rate of the country amounted to 8.6 percent.